ALWAYS EXPANDING! NEW INSIDE HEATED BUILDING THIS FALL! SIGN UP NOW! Price Includes: Haul out, Transportation, Blocking, Jack stands, Power Washing Bottom, Complete Winterization, Shrink Wrap, Storage, Launch in the Spring. Your boat will be delivered Turn Key in the water in the Spring. Please have your head holding tank pumped out! If your boat sells, storage agreement is void for 2nd and 3rd year! No Risk with savings due to inflation! 1.This agreement pertains to the fall and winter storage. 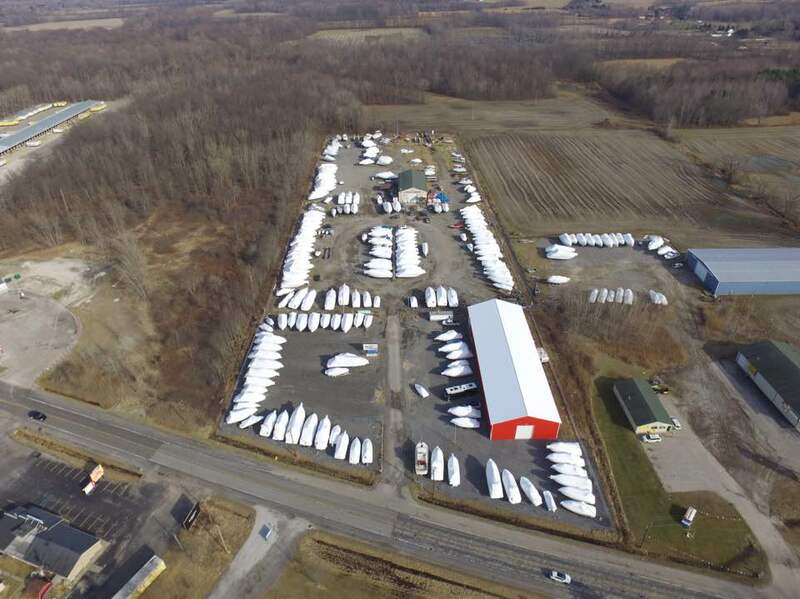 Space in our facility is to be used at the sole risk of the boat owner and assumes total responsibility for casualty or loss and waived the subrogation rights of its insurance carriers. Service 1 Marine is not responsible for boat’s content or equipment. Boat owner is to remove or secure any valuable possessions. Service 1 Marine does not assume any liability for torn or ripped canvas while boat is in storage. 2. The owner hereby agrees that all charges pursuant to this agreement or any other services rendered by Service 1 Marine at the request of the owner and which remain unpaid, shall constitute a lien on the owner’s boat. This for must be filled out and signed by the owner for accounting and insurance purposes, and accompanied by a deposit. Winter storage pertains to the haul out date through May 15th. Any boat remaining in storage after that date shall be charged Summer Storage. 3. Half of storage is due at time of haul out, balance due by January 1st or full rate applies. Any remaining balance is subject to finance fee of 1.5% per month on unpaid balance. $100 deposit before September 1st of current storage year, secures promo specials! Sign up now for winter storage! Notes, questions, Winter work requests. rnOil Change, Bottom Paint, Tune up, etc.